Blood Type Linked to Infertility? Not so fast. Q from U: Is testicular stem cell transplantation real or a hoax? 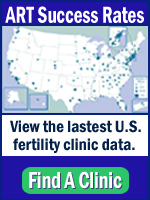 IMSI vs. ICSI: Does high magnification sperm selection improve outcomes?